While I was in London in June I visited Uniqlo on Oxford Street. I had long admired the clothes in magazines and thought that although they are probably targeted at a younger market they were very much my style – or a style I would like to have. Anyway, I did come home with two dresses and a t-shirt tunic which I have worn loads and is frequently admired. I knew I wanted more of the tunics and I had a self drafted pattern which was not too far from what I wanted. It took longer to find the blessed pattern than it did to make the changes I wanted to turn it into a ‘Not quite Uniqlo top’! Once tracked down I think the pattern took about 1/2 an hour max. had bought 2 metres (at a massive £1 a metre – ridiculous price for a lovely jersey but I’m not complaining) and only needed a metre. The stripes (for there are stripes) were very thin and fairly subtle so I didn’t make too much effort to pattern match. Despite that they don’t look too bad – no-one but another sewer would even be looking! I will make this again in another fabric – all I need to do to make it really good (IMHO) is to narrow the shoulders a bit to look more like the original and move the bust darts up a fraction. Finished – but again I am not entirely happy with the result. I think part of the problem is that they have taken an unreasonably long time for ‘a pair of pants/trousers’. You might remember that I have been watching the Craftsy course ‘Pant fitting’ by Sandra Betzina. This Vogue pattern is in new sizing which relates better to todays figures (hence the name) but that didn’t mean that it would match everyone. That means me. Again. The Craftsy course is pretty comprehensive, and I found it easy to follow the alterations that were demonstrated. I think that the Craftsy platform is pretty good, even if (or especially if) you are fairly new to sewing or pattern alteration as you can watch the video lessons as many times as you need to, and also ask questions which should be answered by the tutor. 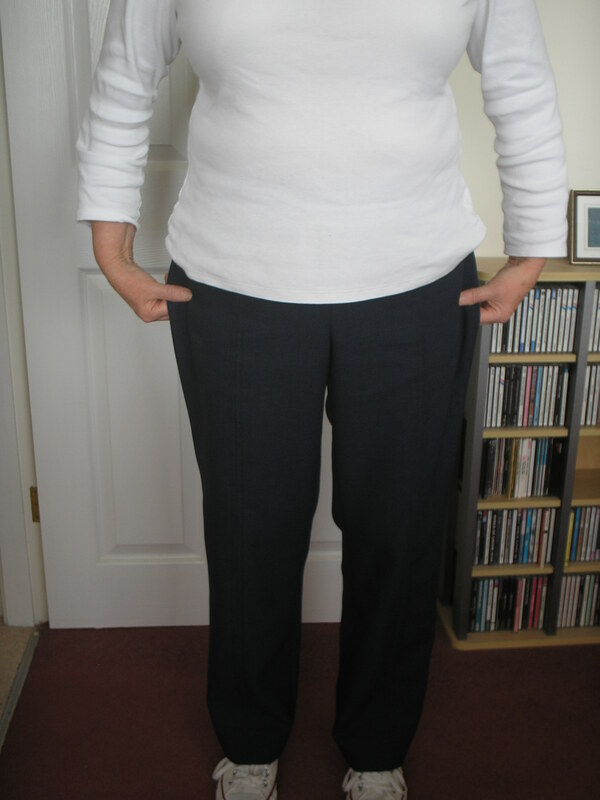 The whole course is worked around Vogue 2948 (included in the cost of the course) which is an ideal trouser for adjustment since it has princess seams and a yoke. The more seams available the easier a garment is to adjust. I cut the size that appeared to fit my hips, having adjusted the pattern to be larger around my waist. All looked well, and I tried them on with the sides tacked to fit. CLOWN PANTS! I really couldn’t believe it – these were big. I checked the original pattern pieces and whilst I could find the finished waist size (3cm ease allowed) and the finished length I couldn’t find the finished hip size. Maybe I was just losing heart by then. One of the things that is stressed throughout the course is to avoid ‘over fitting’ – ie. taking out all the wearing ease to give a ‘skin fit’. We have all seen people wearing clothes like this and it is never a good look. Anyhow, I repinned and sewed the seams, fitting the zipper and just wanting to get this project to finish. (More haste…). See what you think. Back – I didn’t see those drag lines until now! The fabric wasn’t expensive – this was intended as a wearable muslin – it is a basket weave polyester that I found in the £2 a meter pile at Barrys in Birmingham. These are good enough to wear, but not anywhere ‘special’. I am not sure what I was doing here – the pattern by size and adjustment should have been OK but it looks as if I have made them to grow into and I would rather not if you don’t mind! 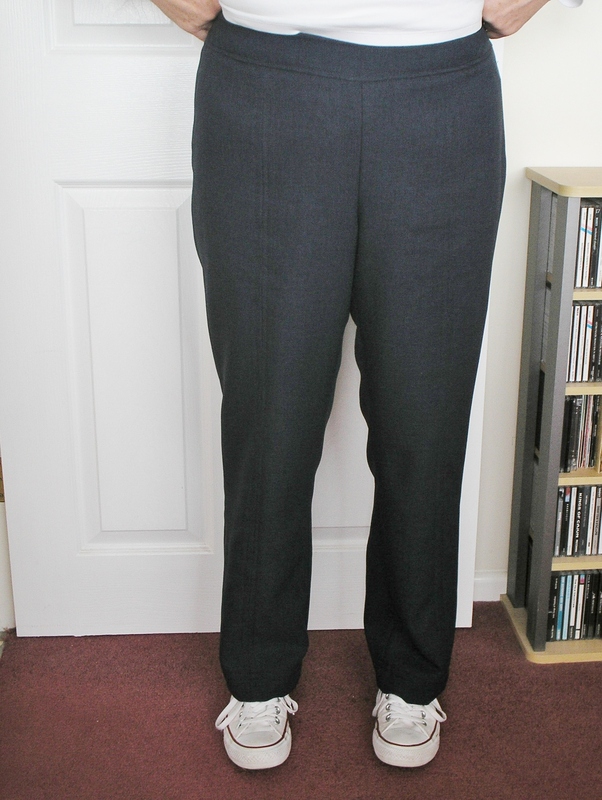 I hadn’t used a side zipper in pants (rarely in skirts either) and find I don’t really like it. I could try these again with the back zipper option but I don’t think I like the pattern enough to do so. Polly-cotton (sorry!) trial available in size 16. Matching bias included. Since I was a bit fed up after making these I decided to have a bash at a quick project. Step up ‘ By Hand London’ Polly top. This looked perfect for my shape as I could make a top that fitted well over my bust but easily take in at the waist/hip so that it didn’t poke out in front. Again the sizes didn’t match me at all. I chose a bust, then the waist was up one size, and the hips went down two sizes from the waist. 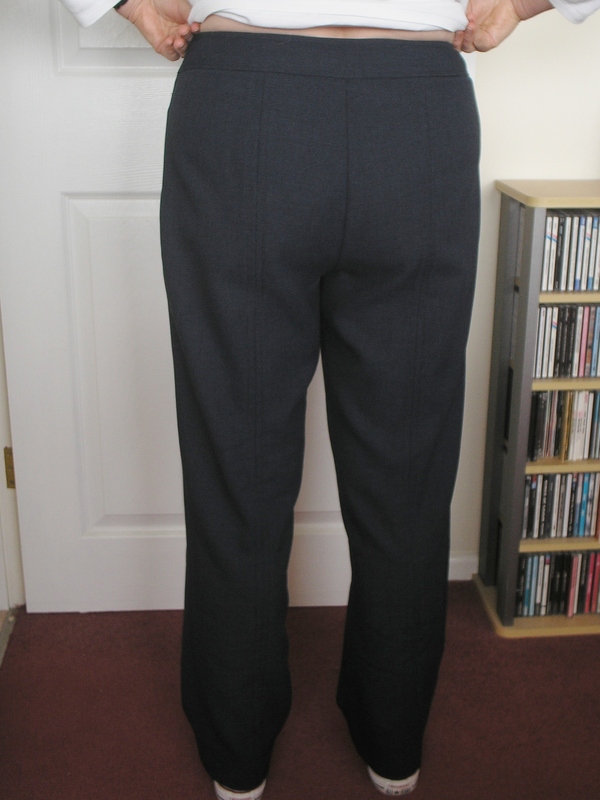 The finished measures looked better – the bust was the largest size, going down one for waist, and down again for hip. I printed, taped, traced off my size (Pffft!) and then went ahead in the scrap I had found to try out. Can I just say I am currently feeling deformed. 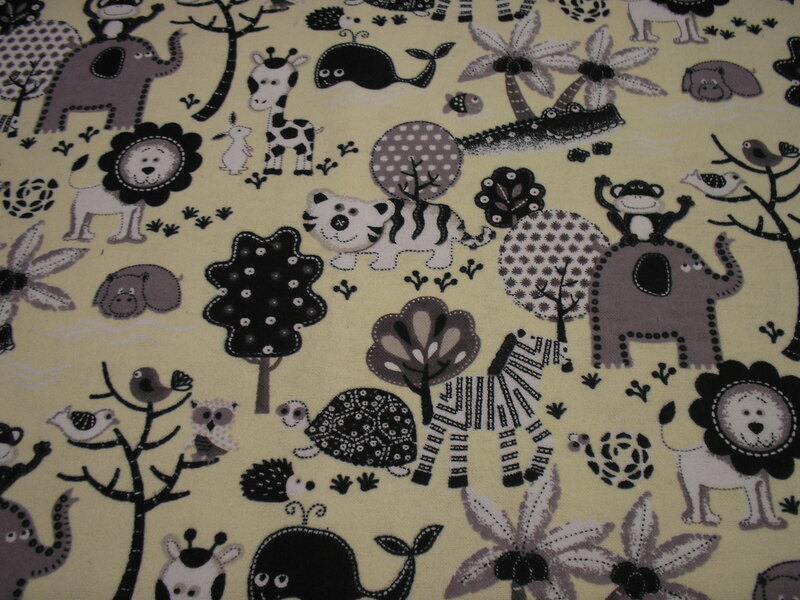 I love the pattern, and it is clearly a very popular choice around blogland, but it isn’t for me. If anyone out there would like the taped PDF (and the white/blue poly trial in a 16) let me know and I will send it out happily. Rather than going through lots of full bust alterations in order to make commercial patterns fit properly I have decided to get back to pattern cutting. I use this to make the patterns for my clients so it is about time I sorted my own blocks out again and got on with making my own patterns to fit my own clearly unique shape! For anyone who doesn’t have a pattern cutting background and wants a great site to find out how to alter patterns for a full bust head over to Communing with Fabric where Shams (who has a very similar body shape to me) has already done a sterling job in explaining what is needed. Jungle January – Zebra dazzle. And our local ‘big cat’ Boot. Zebra dazzle! Yes, this is one of those fabulous Funkifabric offerings. Just after I ordered the fabric for my daughter they announced a 20% off sale. Who could resist? I ordered more but that isn’t Jungly. 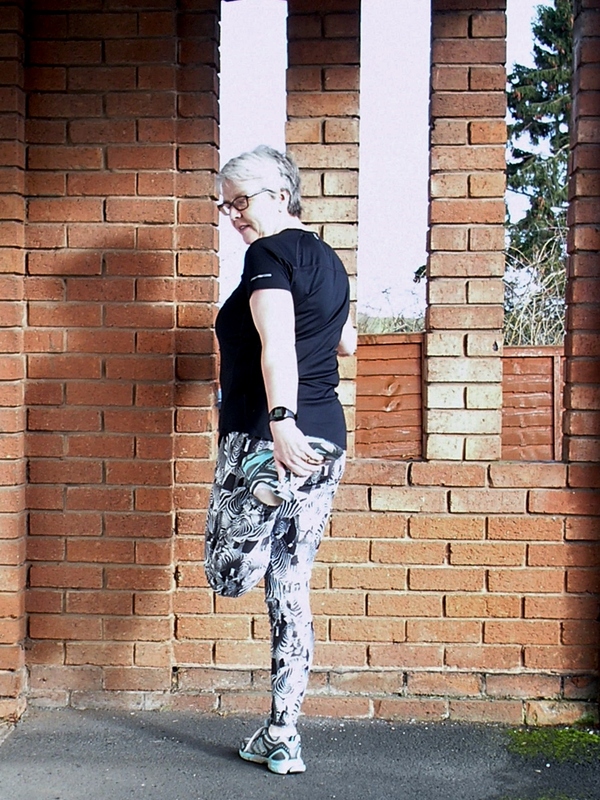 The leggings pattern was made from the Kristina Shin book (post here), but I decided to add the back zippered pocket which is so useful in RTW running leggings. 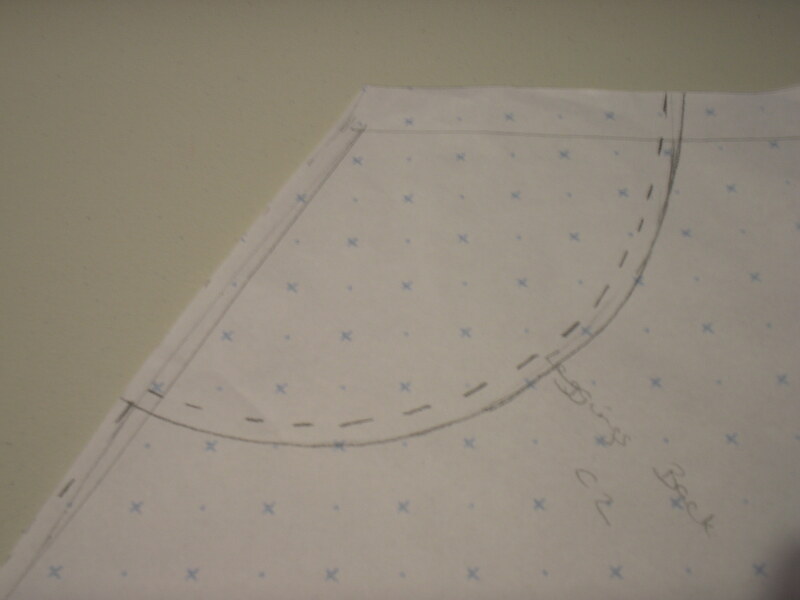 The pattern alteration involved drawing the pocket shape in the back piece (don’t forget the elastic turn depth to guide how deep you want the pocket) and tracing this off using the CB seam as a straight of grain guide. By straightening the top of the pocket I ended up with about 4cm extra back length which didn’t worry me as I had felt I needed a bit more there anyway. Cut two pocket pieces and fit the zipper into a letterbox shaped hole (Edited to clarify – think bound buttonhole so you press back the fabric to make a rectangular hole).I drew the rectangle onto the fabric with the wonderful Frixion pen. Draw the pocket shape on the back piece. 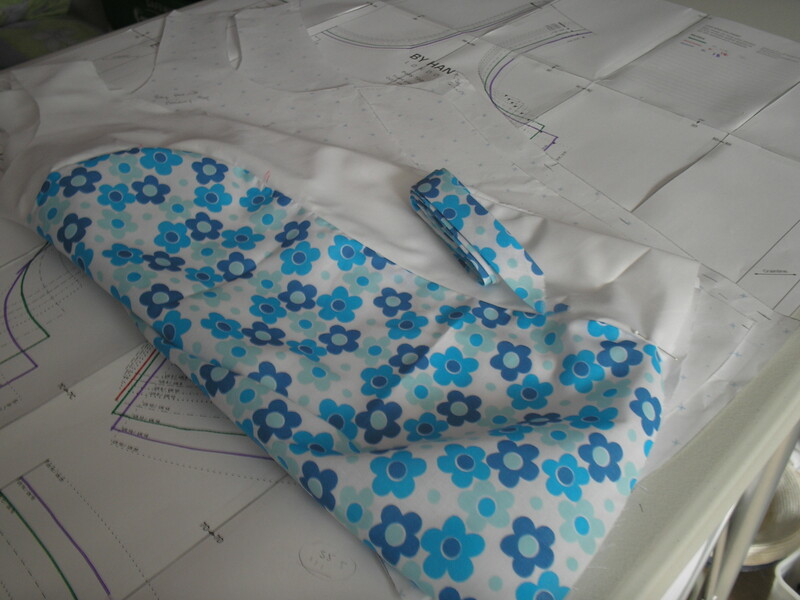 Layout with pocket – just fits 1metre of fabric! You could use a cotton or something to support the area whilst you sew in the zip but I found it went in pretty easily just as it was. I sewed both pockets together, with the underneath fabric right side up so it is still pretty when you open the pocket, before sewing it into the ‘hole’ in the back left when the CB seam is sewn together. It doesn’t look as though it will fit but it goes in well with the stretch in the fabric – you could put a few balance points on the pattern pieces to help but I just had CB. Almost all of the construction was done with 4 thread overlocker, but I used a 3 step zig zag to anchor seams where I wanted to prevent rubbing. Another fairly quick and easy make. I plan to debut these at Parkrun in the hope that they will make me run like a zebra rather than the asthmatic donkey I usually resemble. My second offering is another TNT pattern (First shown here). I felt I needed new PJs and when I was in Birmingham I found this glorious brushed cotton. I’m not sure where the whales fit with the jungle animals but I thought it was so good I wasn’t splitting hairs! The pattern is known to be comfortable, has pockets for you bedtime snacks, and buttons on the front to help orientate when really tired. Phew! I made it. Just in before the gate slams for another year. There have been some fabulous offerings already this year – and some people have made loads (yes Ruth, that would be you!). If you are new to the jungle go check them out. Just make sure you are very quiet……. GAM Finale and RTW Fast result. Well it couldn’t have got any closer to the wire – I finished the last garment I will make this year about 30 minutes ago. I really can’t believe how quickly 2014 has flown past. And just how little I have managed to make for myself. Again. However, changes have been made so look out for a more productive 2015. So, garment number 8. I discovered pieces already cut out in a box I tend to chuck my ‘get there eventually’ stuff into. I couldn’t actually remember cutting this out so have no idea when I did it. Shameful. Clearly I was making something influenced by Simplicity 2451 which I remember being very popular in blogland. If you have a good memory you might even remember! 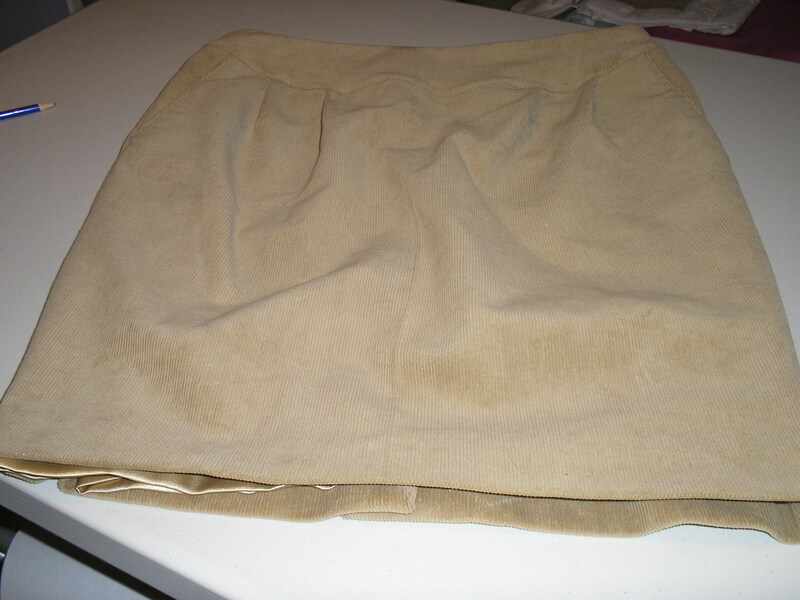 Cord skirt with yoke. Finally. 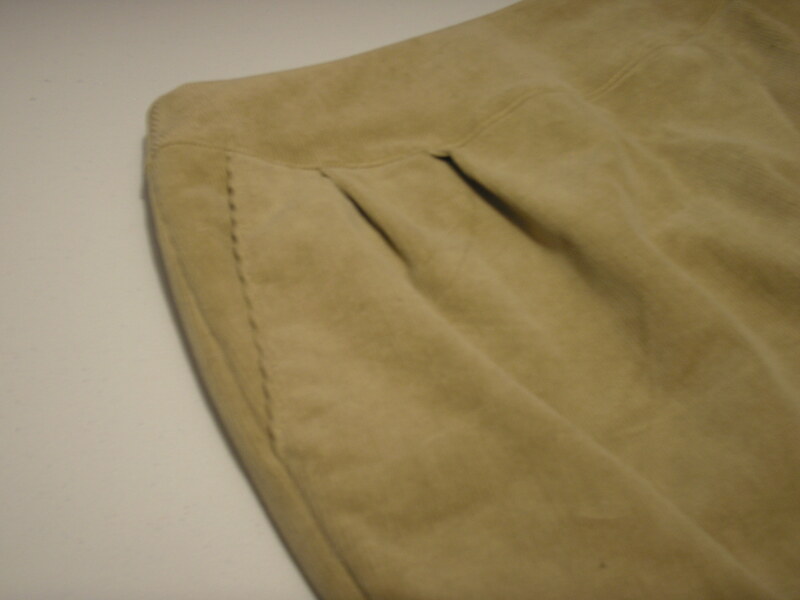 Cord skirt with yoke pocket and tuck detail. I vaguely remember deciding that I needed to use my pattern cutting skills more so I imagine I thought this style was simple enough to copy and make up quickly. Part right. Once started this skirt didn’t take too long to sew. Had I tried it on whilst sewing I would have discovered that it was in need of an alteration. The waist needed to be reduces by 2″! Was I happy to know that my gym work has had some good effects. I was too late to get a photograph wearing this but will do so sometime soon. Garment number 9 is something I have wanted to do for ages. I have made running tights for my daughter from a block detailed in the Patternmaking for Underwear Design by Kristina Shin but not for me. Until today. I decided that since I had a free afternoon I would draw out my leggings block, which I managed very quickly so I completed the pattern. 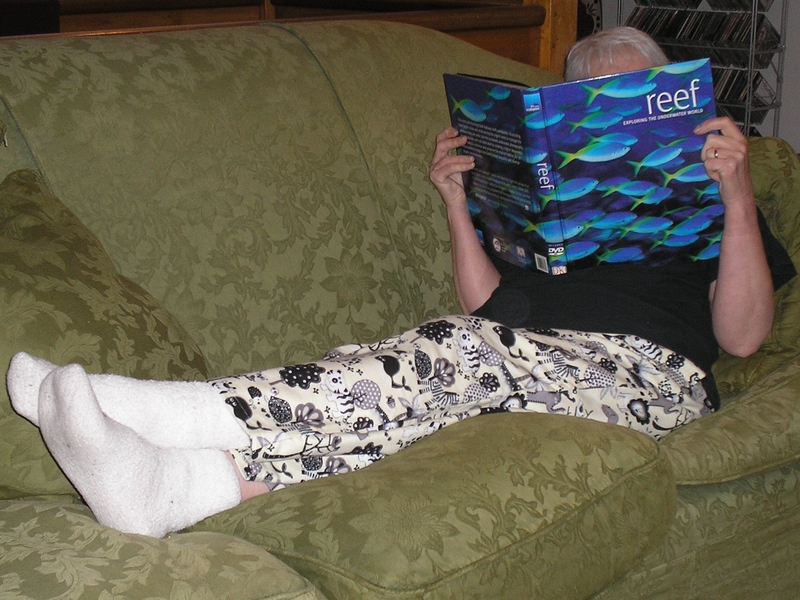 Well, when things are going so well you really have to continue – so I cut out and sewed the leggings after tea. I had some black supplex fabric which I bought ages ago from Tia Knight so was able to get right on with the project. I know how much Jess enjoys her supplex leggings so I am looking forward to wearing these – they are so soft! A really satisfying, speedy garment. I didn’t quite manage the 12 garments I had hoped to make for myself, but I am considering 9 out of 12 not too bad. The whole project made me reconsider how much work I want to do for clients and I did decide recently to remove a telephone listing which will definitely reduce work whilst still enabling me to work for my established clients. All in all this is a good result. Alongside this GAM challenge I have also been on a ready to wear fast. The wardrobe is looking a bit skinny at the moment as I have been getting rid of things that had worn out, or that I decided I really didn’t wear and passed on to someone who would, or one of the local charity shops. The only things I have bought this year are three bras (professionally fitted and I don’t like any of them – guess what may be attempted early next year), and a commemorative Parkrun sports top. I am amazed at how little I have missed shopping for clothes, so much so that I am prepared to do it again next year. I may be a little less strict but truly I don’t think it will be a problem. I do have more to show you – I made some gifts for Christmas which I can reveal now – but I will do another post for them. So, off now to enjoy a glass of Breaky Bottom fizz which the darling daughter bought for The Management and he is willing to share. Have a wonderful New Years Eve, and a very productive 2015 to come. Cheers! February GAM – Turning Japanese! Well, I managed to complete the garment for January in good time so I feel fairly chuffed. In addition to that I succeeded in staying out of the stores and didn’t but any RTW clothing at all in January – not even tights or other small sundries – so I am very happy. 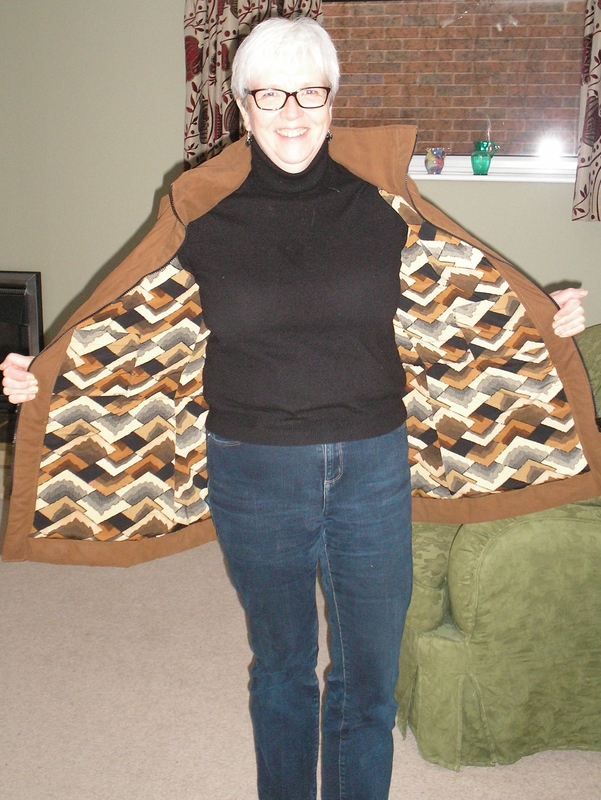 The Minoru jacket I made was almost entirely completed from stash fabric. The only purchases made for that project were the Thinsulate interlining, the NIKWAX wash in waterproofing, and some seam sealing tape. Very satisfying. Now, on to February. I have long enjoyed looking through all of the Pattern Magic books, and now the Drape Drape options which are growing on my bookshelf. I have been slightly put off making from the books because they seemed somewhat unwearable (particularly for a lady of my size and vintage!) but after spending all that money on the darn books, and doing two courses at Morley College (which I can strongly recommend by the way) I really feel it is time to make something I will actually wear. So…. A very wearable draped t-shirt. Odd – but nicely so. For February I am proposing to make two garments. GASP! I have decided to make the strange but lovely ‘Two peas in a pod – A’ from the Pattern Magic Stretch Fabrics book (don’t ask how long I have had this! ), and Model 4 ‘One piece scoop neck asymmetrical top’ from Drape Drape 2 which my sister bought me for Christmas. 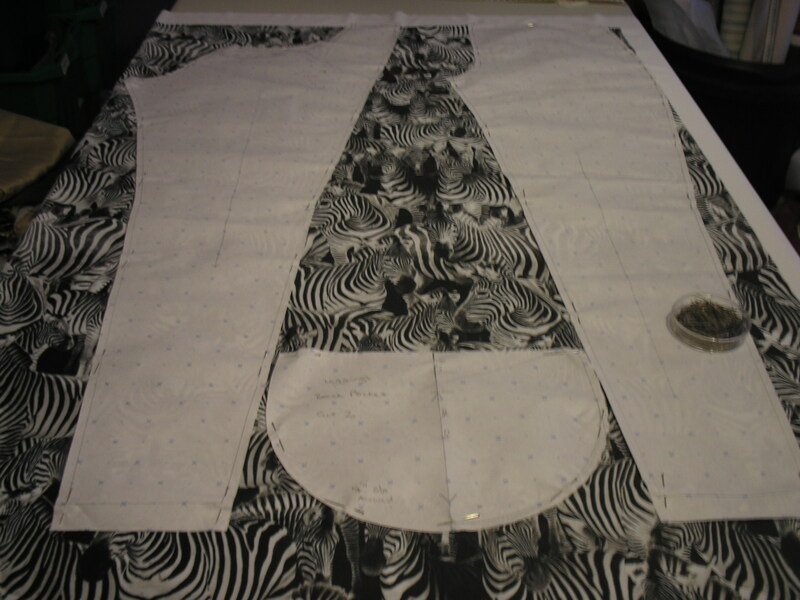 In fairness the bulk of the work is in the patterns with these tops – once the patterns have been drawn out the sewing should take very little time. Again there is a however. I am nowhere near the dinky little Japanese sizes. Nothing like. Thankfully ‘The Management’ is very mathematical as I am useless and he has shown me how to work out how to work out how much I need to have the patterns included in the Drape Drape 2 book I was given for Christmas need to be enlarged. This means that I can just trace off the largest size and ask for them to be reproduced at a larger % at the copy shop. Easy. I hope. For anyone else mathematically challenged with the same size difficulties here is the way I was shown to get the size to ask for. In principal this should be easy to do, tracing off only the size you want to use. 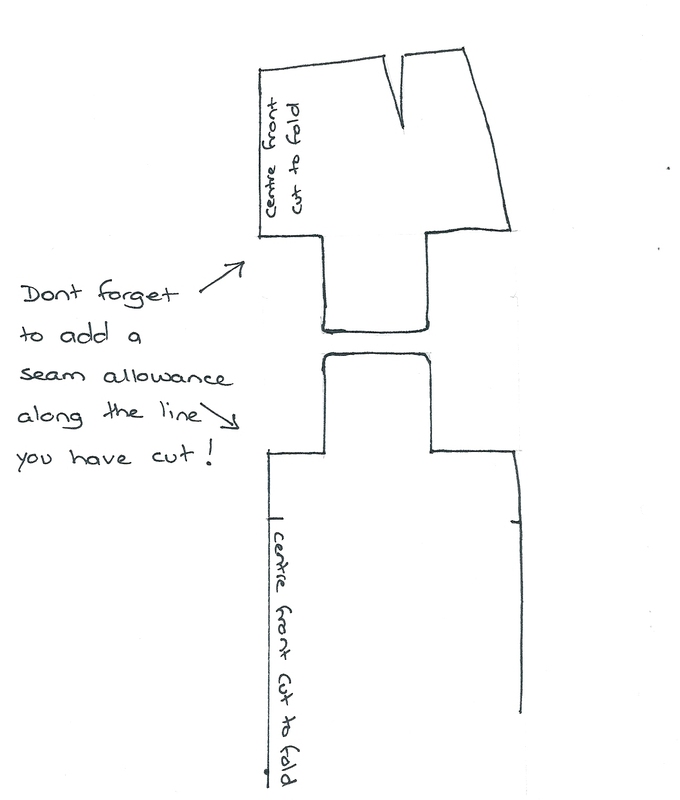 Don’t forget that any included seam allowances will also be increased by the extra percentage so it will be worth drawing in the pattern excluding seam allowances pre copying. 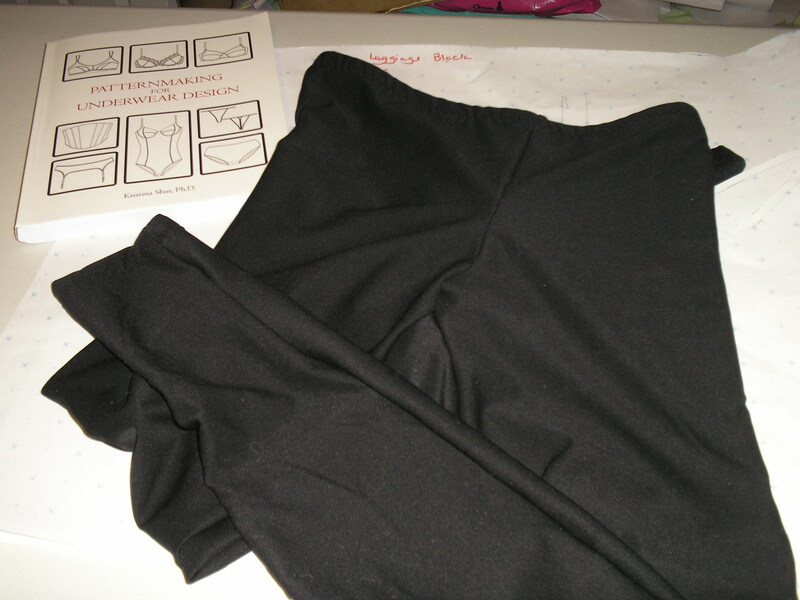 The Pattern Magic Stretch Fabrics isn’t quite so easy as the patterns aren’t included. The blocks included suffer from the same ‘tiny model’ problem that applies to the pattern in Drape Drape. I have spent an afternoon grading them up to my enormous size (seriously – this makes me feel like something out of Gulliver’s Travels!) and the pattern adaption is very simple once you have a block that is your size. Again this needs to be taken to someone who has a clever copier that can make the increase/decrease needed for each piece. The calculations are given in the book to enable you to do this yourself but I am more than happy to pay for this to be done. It is more likely to be somewhere close to where it should be if I don’t do it! Especially for Rhonda who asked me to flash the Minoru lining….. Between sewing and other jobs I had a trip to a library in the next town to my own. 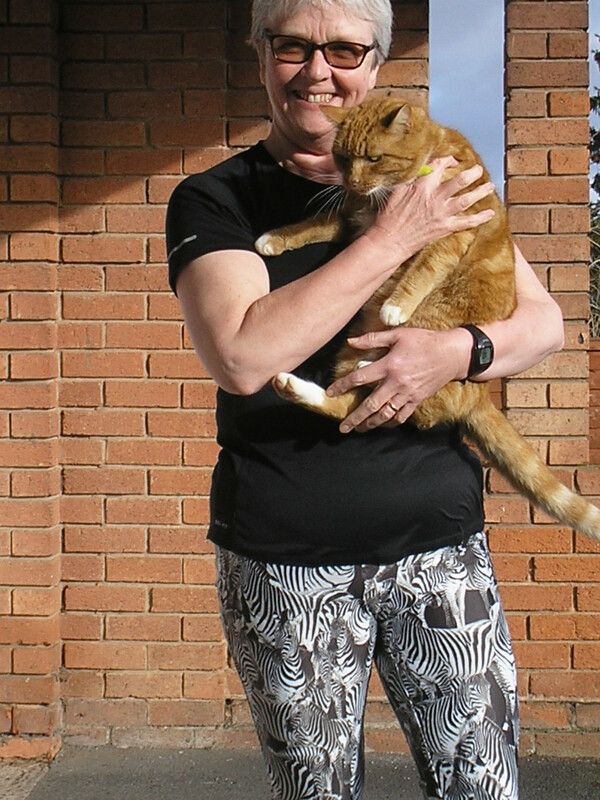 Only 3 miles away – nothing like some of my American blog friends have to cope with (Hi Bev!). Now this library always seems more appealing than my own home library. Why would that be? 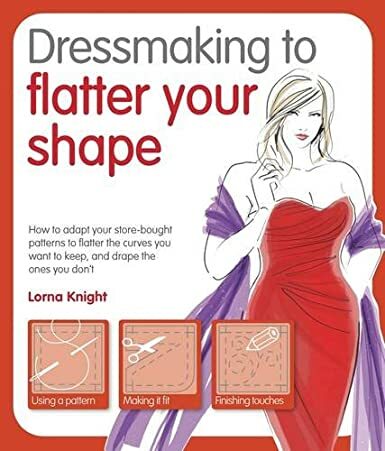 Anyway, while I was there I picked up a copy of ‘Dressmaking to flatter your shape’ by Lorna Knight. I didn’t really check it before I had it scanned out, but I have really had a good look since then. A really good look. This book give such a lot of good, straightforward, sensible advice you want it to be your Auntie. Lorna Knight covers some very elementary stuff in a non-condescending way, but follows with sections on adapting patterns to solve all sorts of problems – but in the sort of way that you might hope to find but rarely do. Bust adaptions are all together, as are sleeves, as are…. you get the idea. Even if you have sewn for some time this is a useful resource. Whilst this book would be a brilliant ‘go to’ handbook for a beginner there is enough content to make it very useful for any sewer. I checked out all of the adaptions and found variations on the way I usually do things which I will be trying out in the future. Even if you don’t want to actually spend the money and buy a book I would strongly recommend you have a trip to the library – maybe even a strange library – and see what they have to offer. You might find a copy of this to borrow. You might find something completely different but equally wonderful. If you do don’t forget to tell us about it! 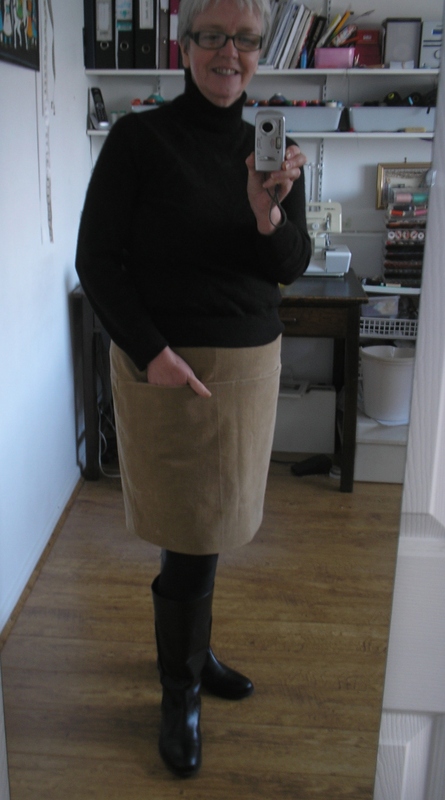 For a long, long, time now I have been seeing a particular skirt in a number of blogs and really liked it. I loved Carolyns, Winnies, Ruths, and about a gazillion others I have seen. It is a classic. It is simple. I wanted it. However, I really didn’t want to buy another pattern for a very simple skirt that probably would need ‘tweaking’ to fit me anything like as well as my basic skirt block from good old Winnie Aldrich. Lets face it, if you have been sewing for any length of time you are going to have a basic skirt pattern that you like – and more importantly, that fits you well. Not a great picture, but I like the skirt! This skirt is made from the very basic pencil skirt pattern, but frankly any simple skirt pattern you have that fits well would probably work. By tracing a pattern you are happy with you can make your own pocket skirt pattern at very little cost – and save you money for that spectacularly complicated pattern you are coveting! No original patterns will be damaged – you can use your favorite pattern again as it wont be cut – you will cut your copy. If you are using an a-line pattern then your pieces will look more like my red outside line. 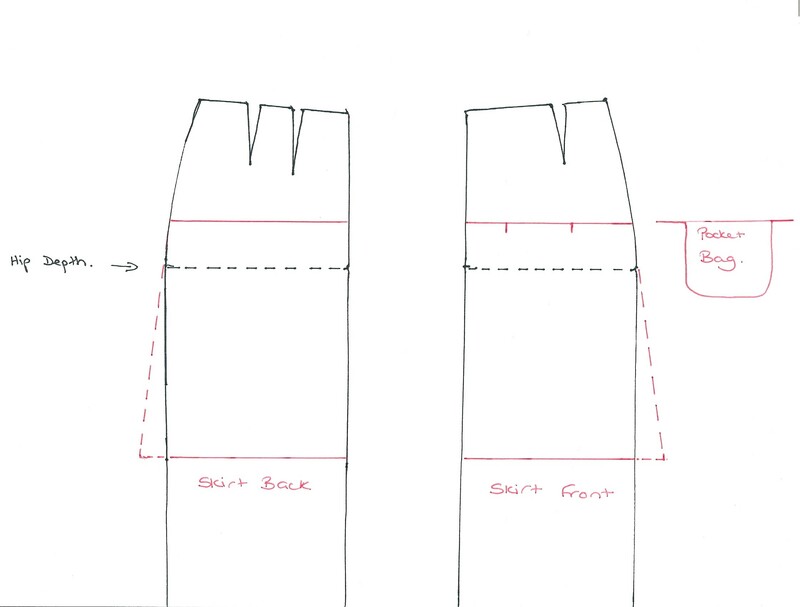 Simply decide how deep you would like the top of the pockets to be from your waistband and draw a line at right angles across the front and back from the center lines (Shown in red on my diagram). These lines should match at the side seams. Bearing in mind that you want the pockets to be wide enough to get your hand in through the gap, and deep enough so that things don’t fall out (but not so deep that you have to work too hard to get to the bottom – unless it is your turn to buy the drinks!) draw a square/rectangle of the size required, you can round the pocket corners off later. Cut out another pocket piece. 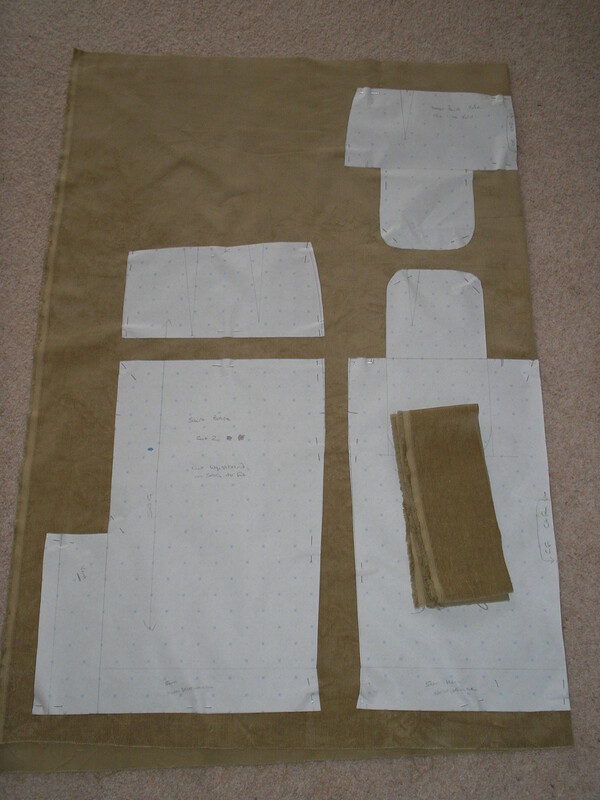 The pocket pieces are then added – one heading up on the skirt bottom section, and one heading down on the yoke section. I work without adding seam allowances to any of the patterns I make myself so the main thing to remember is to make sure you have seam allowances added to the sections that you actually cut! Once you have the pattern pieces looking like those above you can go ahead and cut out your skirt. My pattern took just under 1m of 150cm wide fabric, but that would vary according to how long your skirt is. This is a pretty short version. My pieces ready to be cut. Once you have sewn the yoke onto the back section, and sewn the front by working a wiggly line around the pockets, you press the seams down (so you can put your hands down into the pockets),and you can go ahead and finish it off exactly as you would have done before you fiddled with the pattern. The beige cord I used has been in my stash for longer than I dare think about, but it has finally been made into something I will wear frequently (and will probably make other incarnations of too!). 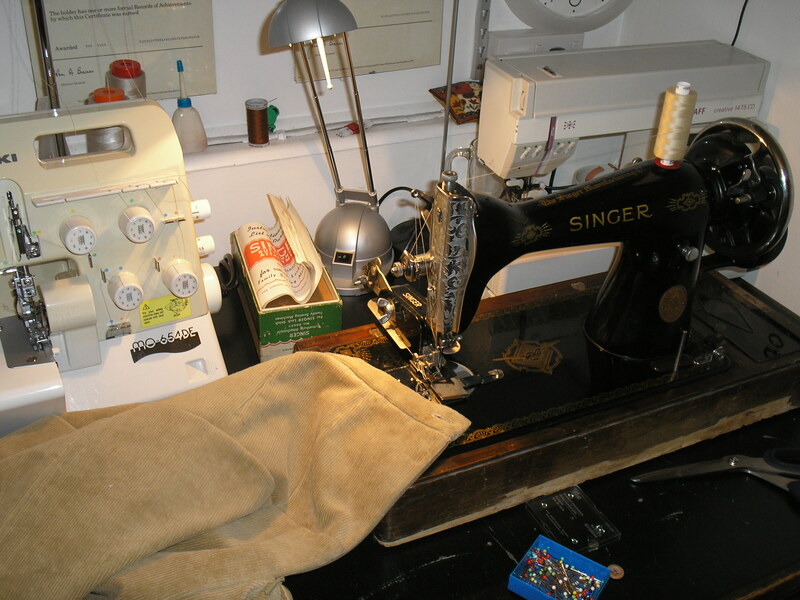 I made use of all of my machines on this project – straight seams on Patience while I get my treadle action perfected, zip and other ‘fiddly’ bits on the faithful Pfaff, the overlocker did duty tidying up the seams (I’m afraid to say I didn’t do lovely bound seams like I have seen some bloggers make – maybe on a skirt I don’t need to line), and Molly made the buttonhole. A real team effort! One of the regular complaints I hear from some of my clients about garments they have purchased relates to the buttons. How they have been sewn on to a garment isn’t something many of them think about until it is a difficulty for them. I recently resewed all of the buttons on a coat that were too tight to fit through the ‘turn of cloth’. 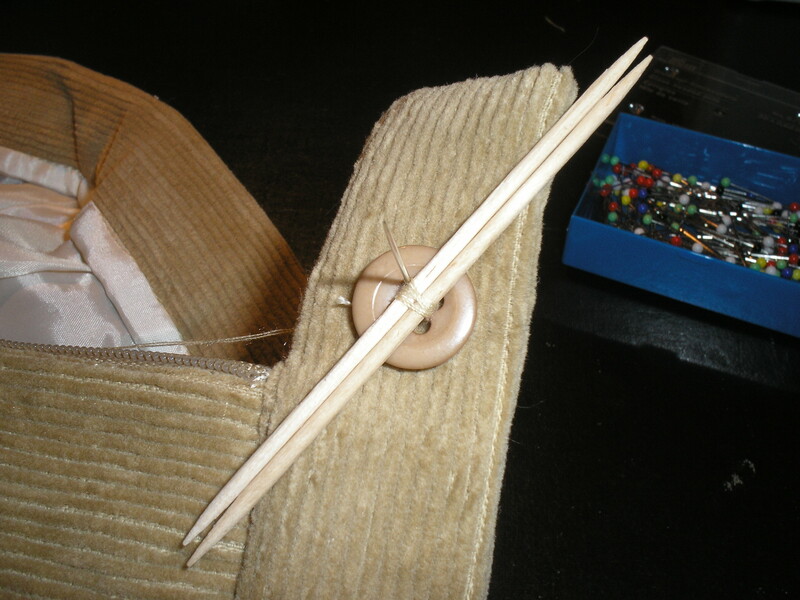 That made me realise I have another ‘tool’ I use regularly that isn’t really a sewing tool – but is an essential part of my box. Step forward – the toothpick. This little gem can be used built up to as many ‘picks’ are necessary to make a stalk behind you button long enough to accommodate the cloth. So simple, but another ‘You use what?’ moment for some of my friends. P.S. I was reading another blog today (Hi Robyn!) and read a fantastic quote which I have to share. She said ‘Stash is like compost – it fertilizes your mojo, but it’s better if you turn it over once in awhile’.Love it! Robyn makes some fabulous garments – if you aren’t familiar with her work go have a look!